Infrastructure around the country has been compromised by extreme weather events and rising sea levels. 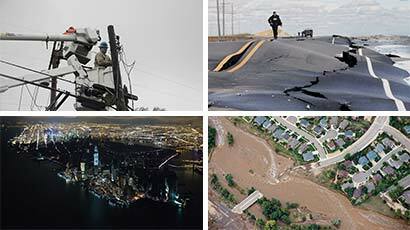 Power outages and road and bridge damage are among the infrastructure failures that have occurred during these extreme events. A disruption in any one system affects others. For example, a failure of the electrical grid can affect everything from water treatment to public health. Sea level rise, storm surge, and heavy downpours, in combination with the pattern of continued development in coastal areas, are increasing damage to U.S. infrastructure including roads, buildings, and industrial facilities, and are also increasing risks to ports and coastal military installations. 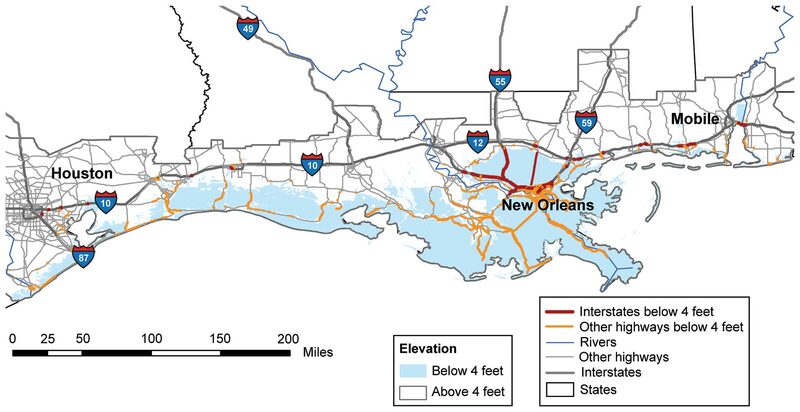 Flooding along rivers, lakes, and in cities following heavy downpours, prolonged rains, and rapid melting of snowpack is exceeding the limits of flood protection infrastructure designed for historical conditions. Extreme heat is damaging transportation infrastructure such as roads, rail lines, and airport runways. Climate change and its impacts threaten the well-being of urban residents in all U.S. regions. Essential infrastructure systems such as water, energy supply, and transportation will increasingly be compromised by interrelated climate change impacts. The nation’s economy, security, and culture all depend on the resilience of urban infrastructure systems. Climate vulnerability and adaptive capacity of urban residents and communities are influenced by pronounced social inequalities that reflect age, ethnicity, gender, income, health, and (dis)ability differences. City government agencies and organizations have started adaptation plans that focus on infrastructure systems and public health. To be successful, these adaptation efforts require cooperative private sector and governmental activities, but institutions face many barriers to implementing coordinated efforts. New York City’s subway system, the nation’s busiest, sustained the worst damage in its 108 years of operation on October 29, 2012. Millions of people were left without service for at least a week. The damages from Superstorm Sandy are indicative of what powerful tropical storms and higher sea levels could bring more frequently in the future, and were very much in line with vulnerability assessments conducted over the past four years.1,2,3,4 The effects of the storm would have been far worse if local climate resilience strategies had not been in place. 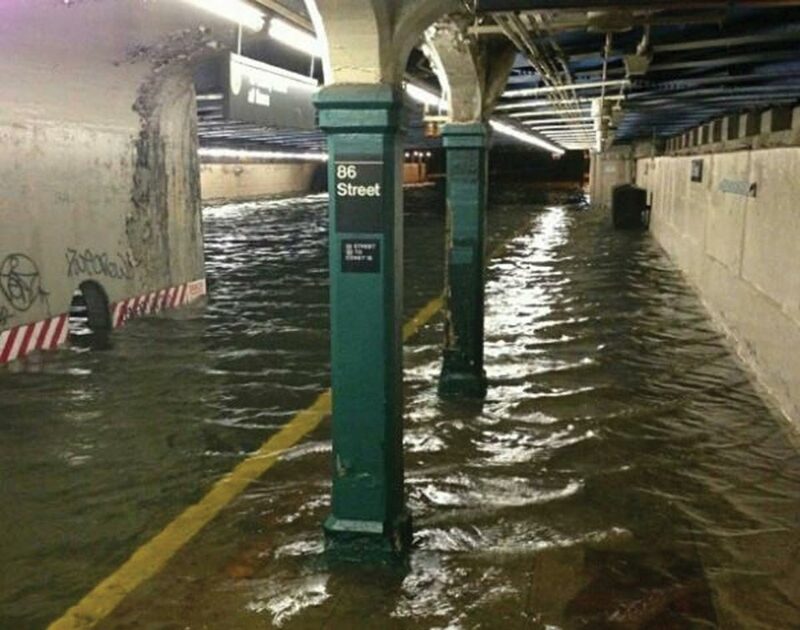 The City of New York and the Metropolitan Transportation Authority worked aggressively to protect life and property by stopping the operation of the city’s subway before the storm hit and moving the train cars out of low-lying, flood-prone areas. Catastrophic loss of life would have resulted if there had been subway trains operating in the tunnels when the storm struck. Climate change poses a series of interrelated challenges to the country’s most densely populated places: its cities. The U.S. is highly urbanized, with about 80% of its population living in cities and metropolitan areas. Cities depend on infrastructure, like water and sewage systems, roads, bridges, and power plants, much of which is aging and in need of repair or replacement. These issues will be compounded by rising sea levels, storm surges, heat waves, and extreme weather events, stressing or even overwhelming essential services. Urban dwellers are particularly vulnerable to disruptions in essential infrastructure services, in part because many of these infrastructure systems are reliant on each other. For example, electricity is essential to multiple systems, and a failure in the electrical grid can affect water treatment, transportation services, and public health. These infrastructure systems – lifelines to millions – will continue to be affected by various climate-related events and processes. Climate change impacts will increase the total costs to the nation’s transportation systems and their users, but these impacts can be reduced through rerouting, mode change, and a wide range of adaptive actions. Transportation systems are affected by climate change and also contribute to climate change. In 2010, the U.S. transportation sector accounted for 27% of all U.S. heat-trapping greenhouse gas emissions, with cars and trucks accounting for 65% of that total.9 Petroleum accounts for 93% of the nation’s transportation energy use.9 This means that policies and behavioral changes aimed at reducing greenhouse gas emissions will have significant implications for the various components of the transportation sector. Transportation systems are already experiencing costly climate change related impacts. Many inland states, including Vermont, Tennessee, Iowa, and Missouri, have experienced severe precipitation events, hail, and flooding during the past three years, damaging roads, bridges, and rail systems and the vehicles that use them. Over the coming decades, all modes of transportation and regions will be affected by increasing temperatures, more extreme weather events, and changes in precipitation. Concentrated transportation impacts are particularly expected to occur in Alaska and along seacoasts. Extreme weather events are affecting energy production and delivery facilities, causing supply disruptions of varying lengths and magnitudes and affecting other infrastructure that depends on energy supply. The frequency and intensity of certain types of extreme weather events are expected to change. Higher summer temperatures will increase electricity use, causing higher summer peak loads, while warmer winters will decrease energy demands for heating. Net electricity use is projected to increase. In the longer term, sea level rise, extreme storm surge events, and high tides will affect coastal facilities and infrastructure on which many energy systems, markets, and consumers depend. As new investments in energy technologies occur, future energy systems will differ from today’s in uncertain ways. Depending on the character of changes in the energy mix, climate change will introduce new risks as well as opportunities. The U.S. energy system provides a secure supply of energy with only occasional interruptions. However, projected impacts of climate change will increase energy use in the summer and pose additional risks to reliability. Extreme weather events and water shortages are already interrupting energy supply and impacts are expected to increase in the future. Most vulnerabilities and risks to energy supply and use are unique to local situations; others are national in scope. The observed increase in cooling energy demand has been greater than the decrease in heating energy demand. Figure shows observed increases in population-weighted cooling degree days, which result in increased air conditioning use, and decreases in population-weighted heating degree days, meaning less energy required to heat buildings in winter, compared to the average for 1970-2000. Cooling degree days are defined as the number of degrees that a day’s average temperature is above 65ºF, while heating degree days are the number of degrees a day’s average temperature is below 65ºF. (Data from NOAA NCDC 201210). In addition to being vulnerable to the effects of climate change, electricity generation is a major source of the heat-trapping gases that contribute to climate change. As a result, regulatory or policy efforts aimed at reducing emissions would also affect the energy supply system.